Booking live entertainment can be a challenge, but with Findaband, everything is taken care of. We’ll discuss your event with you, offer expert advice and find the right artist. We’ll keep you in the loop, take care of all the details and ensure you have a successful event. Check out our artists’ videos, songlists and feedback from clients. Get detailed quotes for all artists you’re interested in. We’ll get in touch with pricing and artist suggestions based on your requirements. Submit our simple form, and you’re all set! We’ll confirm your booking and take care of all the details to ensure everything runs smoothly on the day. 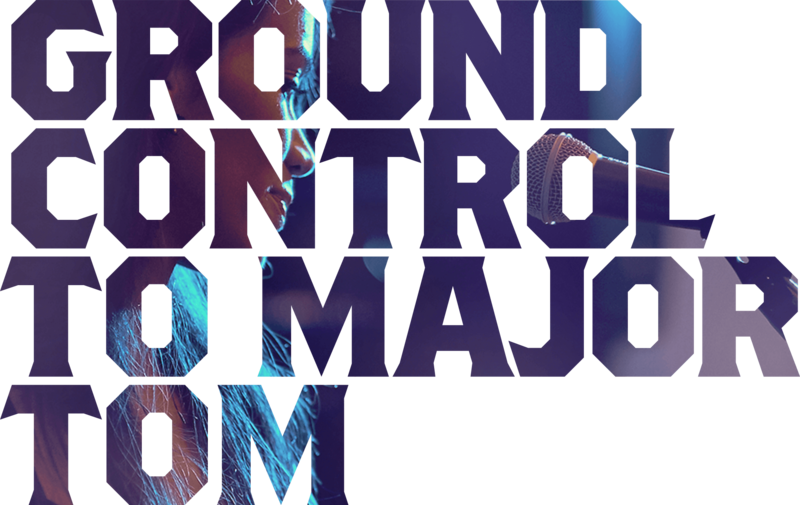 We believe in the power of beautiful songs, captivating live performances and lyrics that inspire. Founded in 2008, Findaband has built an enviable reputation as New Zealand’s leading live entertainment agency. We're dedicated to working with the very best artists and a discerning clientele who trust us to consistently deliver magical nights. We love what we do, and no one does it quite like us. We’re Findaband. We had Amélie perform at our Corporate Awards Gala dinner evening and they were absolutely fantastic! We couldn't have picked a better duo to perform at our event - they had an excellent selection of songs, they were very accommodating to a few last minute schedule changes on the evening and very polished with their performance and attire for the evening. Asch-Rose was wonderful - everyone enjoyed her singing. We would certainly recommend her to our friends and she has a lovely personality. We ran 30 minutes behind on the ceremony which didn't phase her at all and still went on without a hitch. All my guests were raving to me after about how fabulous she was. Thanks again, we had a fantastic time! Blue Steel are a fantastic entertainment addition to bring any event or function to life, they were extremely accommodating, professional and honestly great at what they do! I would highly recommend them to any of my clients in the future. Thanks once again! Jumpsuit were a huge hit on the day during our annual Fletcher Building Round the Bays post event party. We had loads of positive feedback both on the day and post event, with lots of requests for a repeat performance next year. Music selection was perfect for this group with the band gave our 1200 pax marque (second biggest at Madills Farm) great atmosphere. Dragonfly were fantastic at Vodafone Derby Day. They arrived in the afternoon and set the tone for a wonderful evening playing a mixture of songs from classic to modern and some of our kiwi favourites. Many customers and staff in our marquee commented on how great the band was and it lifted the energy in the room. Sam and Joseph are both great to work with and their set-up and pack down seamless. Kid Radio were brilliant! Very friendly, professional, great performers and looked like they were enjoying what they were doing. We would highly recommend these guys, they are fun and play a mixture of new and old tunes without the typical juke box/karaoke songs. If you want to get people on the dance floor, this is your band! The band were not only professional, quick to set up and sharp on stage but they really got the crowd going and dancing all night long. Great songs, great sound and a really tight performance – very impressive. The guys have a great future in music! Thanks again and I would have no problem recommending you to anyone looking for a great band to entertain at any function. Goody Two Shoes played at our wedding and were fantastic. Super talented duo and easy to work with. The band played to the crowd and performed 3 encores. Awesome set list, great balance of new and old - perfect for our wedding! Highly recommended! Please pass our thanks onto the members of Jumpsuit for doing such a great job at our Christmas party last Friday. We thoroughly enjoyed the music and booking them through Findaband was a hassle-free, professional and easy process! We work exclusively with Auckland’s best cover bands for hire. Kid Radio offer funk, soul and Top 40 that is sure to fill any dancefloor. Blue Steel play hits of the 60s, 70s and 80s that are guaranteed to get some serious singalongs happening, and The Black Quartet are New Zealand's pre-eminent string quartet, working with some of the world's best known artists. 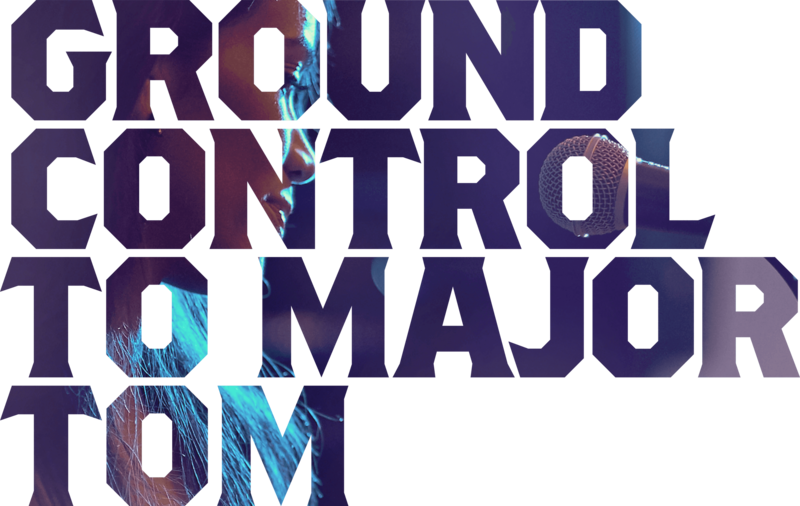 We offer a terrific selection of great Hamilton and Waikato covers bands for hire, with entertainment suitable for your corporate event entertainment, conference or wedding. Find A Band offers a hand selected group of Christchurch’s very best live acts. 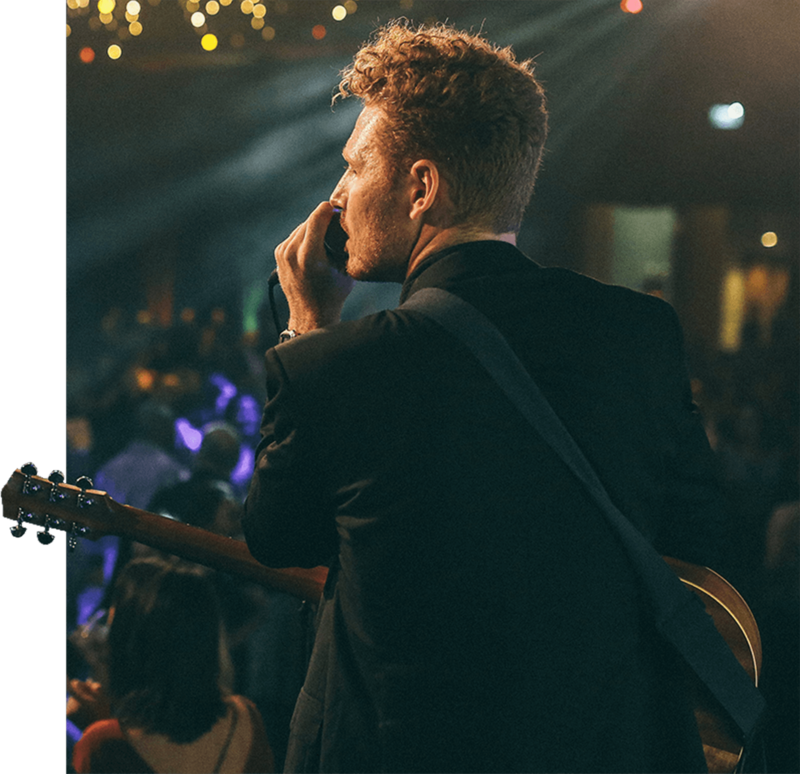 With a band for every occasion, we can take care of entertainment for your wedding, corporate event, conference or function. 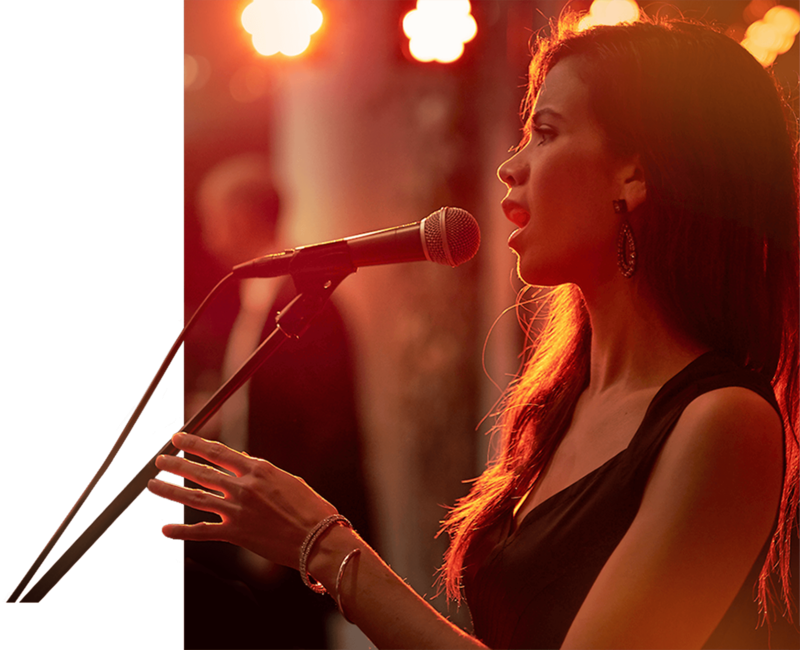 As well as full sized bands for hire, we offer wedding singers, solo pianists and guitarists, acoustic acts, jazz trios and much more.